Premier League outfit Arsenal are trying their best to keep right-back Hector Bellerin at the club and staying away from the clutches of Spanish giants Barcelona in the summer, with ongoing transfer speculation linking the player with a move to his native land. The Spanish international has been linked with a return to his boyhood club for the best part of a year, as the Catalan giants seek to fill the void at the given position. 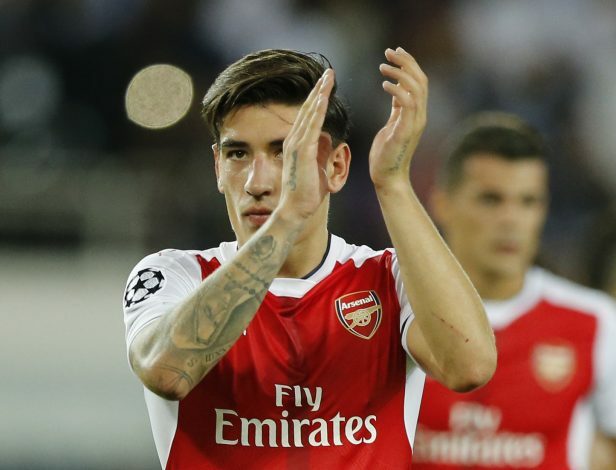 The La Liga club is desperate to get Bellerin, and is making a serious approach for the player. Ongoing rumours have continued to pile pressure on the North London club, who have been reluctant to sell Bellerin, as they feel he is a long term key asset to help them fight for titles. The Gunners feel confident after tying him down to a new six-and-a-half year contract in November, and would demand significant compensation should he move on ahead of the upcoming 2017-18 campaign. Barca, meanwhile, are confident of landing Bellerin, who played 41 matches in all competitions for the Gunners last season. The Copa del Rey winners want the player to hand in a transfer request in order to force a move so that they can start negotiations. However, Bellerin’s contract situation could be a stumbling block, with the full-back also reported to be happy at the London club. The coming weeks could see the Catalan powerhouses make a bid for the player, although Arsene Wenger is likely to waive off any offers.